HTML5 signifies the evolution of markup language 10 Websites to See What HTML5 Is All About 10 Websites to See What HTML5 Is All About Read More as we know it. Adding a range of new tags, multimedia capabilities and removing the need for many proprietary plugins, it is easy to understand how HTML5 is seen as a big step forward in web development. 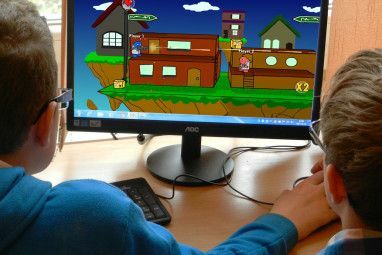 Flash games were once the norm when it came to browser-based entertainment, but now thanks to the powerful nature of HTML5 many web applications, streaming services and games are taking advantage of the new bells and whistles. You’ll need a HTML5 compliant browser to join in, all of these HTML5 games have been tested with the latest stable Google Chrome on Ubuntu 10.10. Other HTML5 compliant browsers include Safari, Firefox Firefox 4 vs. Internet Explorer 9: The New Browser Showdown Firefox 4 vs. Internet Explorer 9: The New Browser Showdown The battle between Firefox and Internet Explorer has been waged for years. For geeks, a web browser is like a jacket; it isn’t just something you use, but also something that identifies you. When I... Read More and Firefox 4 vs. Internet Explorer 9: The New Browser Showdown Firefox 4 vs. Internet Explorer 9: The New Browser Showdown The battle between Firefox and Internet Explorer has been waged for years. For geeks, a web browser is like a jacket; it isn’t just something you use, but also something that identifies you. When I... Read More I Firefox 4 vs. Internet Explorer 9: The New Browser Showdown Firefox 4 vs. Internet Explorer 9: The New Browser Showdown The battle between Firefox and Internet Explorer has been waged for years. For geeks, a web browser is like a jacket; it isn’t just something you use, but also something that identifies you. When I... Read More nternet Firefox 4 vs. Internet Explorer 9: The New Browser Showdown Firefox 4 vs. Internet Explorer 9: The New Browser Showdown The battle between Firefox and Internet Explorer has been waged for years. For geeks, a web browser is like a jacket; it isn’t just something you use, but also something that identifies you. When I... Read More E Firefox 4 vs. Internet Explorer 9: The New Browser Showdown Firefox 4 vs. Internet Explorer 9: The New Browser Showdown The battle between Firefox and Internet Explorer has been waged for years. For geeks, a web browser is like a jacket; it isn’t just something you use, but also something that identifies you. When I... Read More xplorer Firefox 4 vs. Internet Explorer 9: The New Browser Showdown Firefox 4 vs. Internet Explorer 9: The New Browser Showdown The battle between Firefox and Internet Explorer has been waged for years. For geeks, a web browser is like a jacket; it isn’t just something you use, but also something that identifies you. When I... Read More 9 Firefox 4 vs. Internet Explorer 9: The New Browser Showdown Firefox 4 vs. Internet Explorer 9: The New Browser Showdown The battle between Firefox and Internet Explorer has been waged for years. For geeks, a web browser is like a jacket; it isn’t just something you use, but also something that identifies you. When I... Read More . Blatantly inspired by the classic Line Rider, Canvas Rider allows users to create, share and ride user-generated tracks. If you’ve ever played a physics-based bike game (think Trials, or the more recent Trials HD) then the concept will be very familiar. As a biker you must reach the end of the level, which is considerably easier said than done. Careful use of throttle and lean controls will help maintain your rider’s position on the bike, and when you’re sick of being thrown off all the time you can have a go at creating your own level. There are hundreds of other users’ creations which can be easily filtered by popularity to reveal some beautifully-crafted levels. Chrome users can install an extension for quick access to Canvas Rider. VII transforms your whole browser window into a monochrome platform world, with smooth animations, physics and responsive controls. Using both the mouse and keyboard you must navigate, manipulate and clear each screen before progressing. Your telekinesis can be used to move or surf objects and solve thought-provoking puzzles and predicaments. The quirky art style and character (who vaguely resembles Roger from American Dad) plods along at a sombre pace, allowing you to take in all the HTML5 goodness along the way. Technically brilliant, graphically pleasing and completely free; VII is a great little introduction to the world of browser-borne platform games. 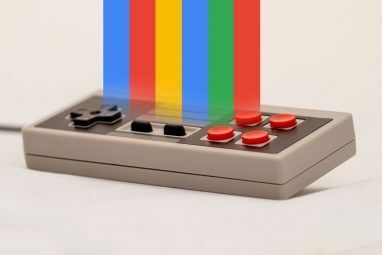 Whilst VII takes on a more relaxed pace, BoredBoredBored employs a different approach – frantic, death-defying arcade action How To Play Old Arcade Games On Your PC How To Play Old Arcade Games On Your PC Read More . Using the arrow keys and your space bar, you (quite literally a dot) must avoid incoming enemy fire whilst propelling yourself into waves of oncoming enemies. Your only method of attack is accessed via the space bar, the longer you charge your shot; the greater your area of effect. At the end of the game you will be given a breakdown of how terrible you are, that is unless you make it to the final wave. BoredBoredBored is a fine example of how HTML5 can be used to create an incredibly fast-paced arcade game that can run natively in a browser window. Instead of taking advantage of one of the many physics engines for the Flash or Java platform, Sand Trap uses its own built-from-scratch HTML5 effort in this addictive puzzler. Each level contains a maze, and within that maze is a small amount of sand. By rotating the maze, it is your task to syphon the sand into the bucket. Playing on its simple nature, Sand Trap soon becomes complex and very addictive; especially if you have a soft spot for physics games. This game would probably be even better with a touch interface, if you’re lucky enough to have a tablet PC or similar. Civilization in your browser – need I say more? For those of you who do remember the original Civ, FreeCiv is a faithful representation of the Sid Meyer classic that stole so much sleep from those who played it. Those that don’t are in for a treat! Don’t let the flat, dated graphics distract you, in Civ the whole world is your oyster. You must explore, settle, trade, mine and generally build a turn-based empire from the comfort of your browser. There’s a tutorial to get you up to speed, and scenarios to play through if you wish. The option to play against AI or other human players Top Five Free Online Shooter Games - Must Read For Gamers Top Five Free Online Shooter Games - Must Read For Gamers Read More is yours, and you can fully customize your games beforehand. Bye-bye spare time! A nifty take on Tetris, replacing the usual 2D interface with a fully 3D hollow sphere. A delightful HTML5 tower defence game that gives some of the premium efforts out there a run for their money. Hint: you’ll need a Y velocity below 6 not to crash and below 3 for the perfect landing. An awesome selection of custom Pac-Man levels, all linked together. Bored of your current maze? Exit and seamlessly join the next! If you’ve not upgraded to a HTML5 compliant browser yet, you’re probably missing out on the web’s hottest new tricks. As a Linux user, constant Adobe Flash crashes, glitches and sluggish behaviour is to be expected on my system. Not once whilst testing any of the games in this article did my PC flinch. There are some things online that only Flash can do… for everything else there’s HTML5. Any HTML5 games that tickle your fancy? Which browser do you use? Have your say in the comments below. Explore more about: HTML5, Online Games. Great HTML5 games. Check it out!!! I'm not a gamer, but can someone please tell me why we need Flash anyway. Is HTML 5 superior in anyway, or is Flash still a better platform? HTML5 is still quite new technology, and thus many are still testing the water. 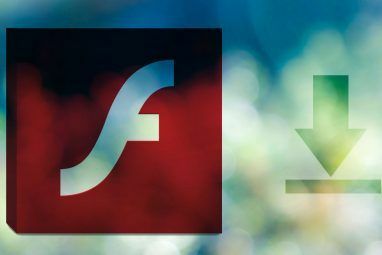 Flash has (as I'm sure you're aware) been around since the good old days of Macromedia, and slowly but surely made itself a "must have" web plugin over the years. Being a plugin, like Java, Flash is sure fire way to get content displayed on any PC with a browser and relevant Flash plugin. 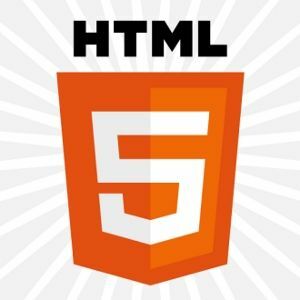 HTML5 apps require a HTML5 compatible browser, but no plugin. Once the world tunes in to HTML5 with Chrome, Firefox, IE9, Safari et al. then we're (hopefully) bound to see Flash decline in favour of HTML5 video tags and the like. Fingers crossed! I have it installed as an app on Google Chrome. Test your engineering and creativity skills on this addicting intellectual game. Oh dear, and I need to get some work done today. Nice find. http://littlecosm.com a great game and twitter client. I use Chromium on Linux and works great. masterofthewebgame.com ? Though it's Microsoft campaign for IE9, it's really cool!